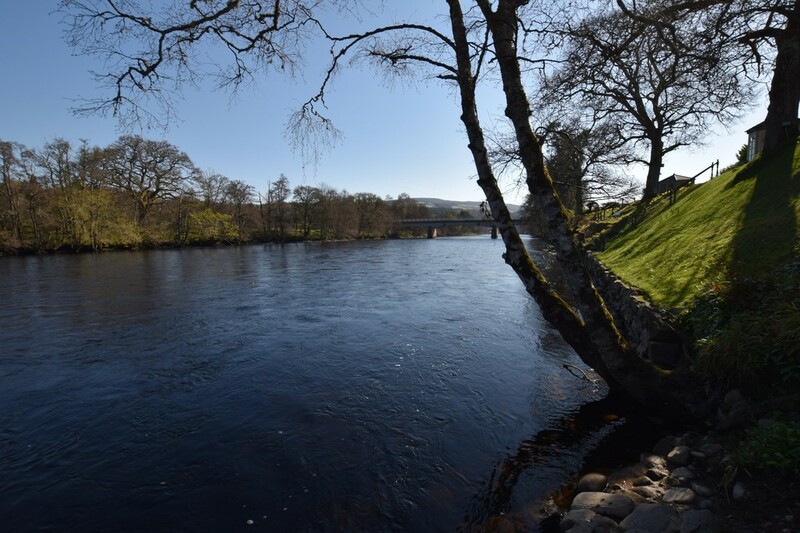 We are delighted to bring to the market this deceptively spacious and immaculately presented 3 BEDROOM DETACHED BUNGALOW situated within a prime position on the banks of the River Tummel with fishing rights. 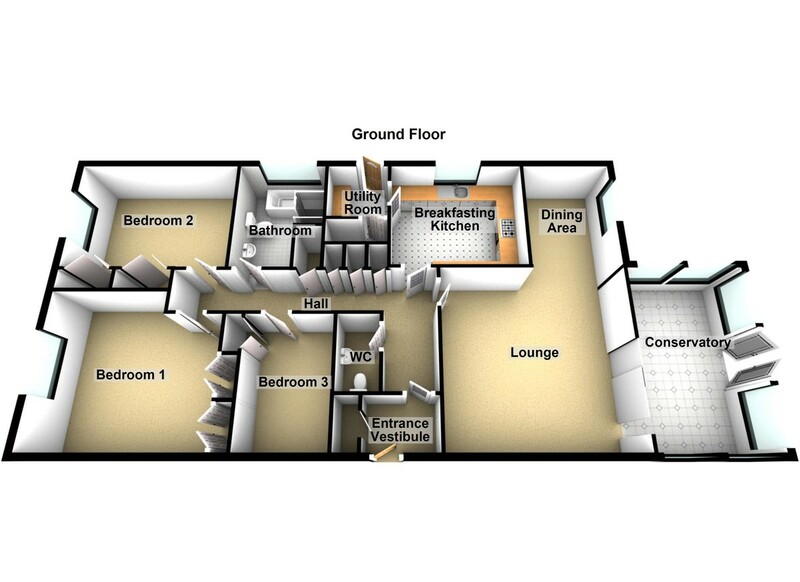 The spacious accommodation comprises of: entrance vestibule, reception hall, W.C.. open plan lounge/dining room, conservatory, sizeable kitchen, utility room, 3 bedrooms and modern family bathroom. 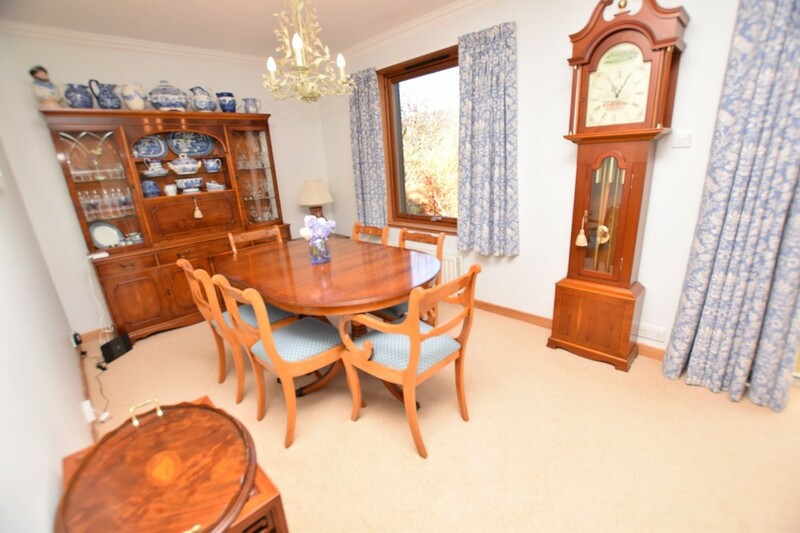 There is triple glazing and gas central heating throughout. 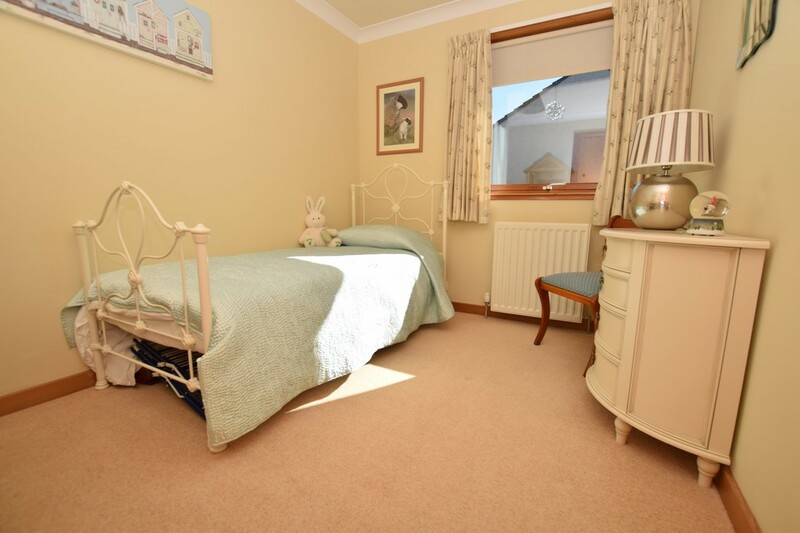 EPC RATING C.
The garden grounds are immaculately maintained and there is a large mono blocked driveway providing off street parking leading to a detached double garage which has the benefit of an electronically operated door, power and light. 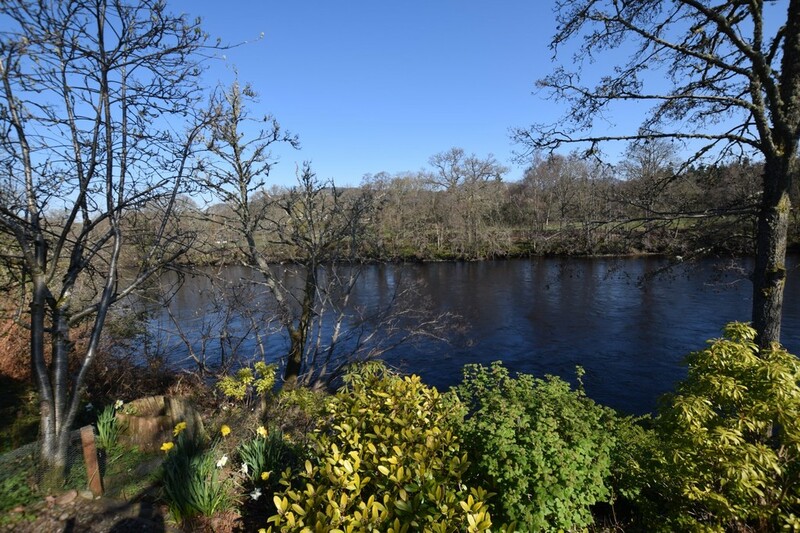 To the rear of the property there are magnificent views over the river and surrounding countryside towards the bridge. 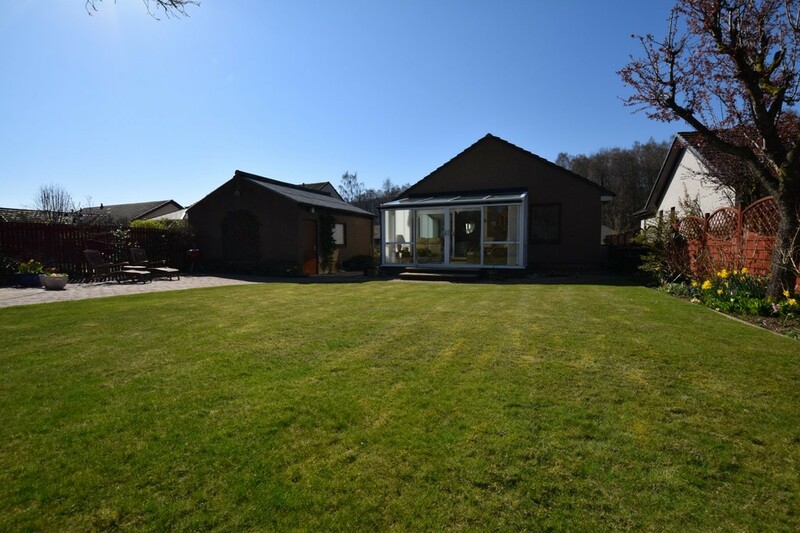 Early viewing is highly recommended as this property would make an excellent private residence or holiday home. ENTRANCE VESTIBULE 4' 11" x 3' 10" (1.5m x 1.17m) Entered via a part glazed front door with adjacent side screen, the vestibule has a double cloaks cupboard. Cornicing to the ceiling. Carpet. RECEPTION HALL 22' 4" x 9' 11" (6.81m x 3.02m) entered from the vestibule via a 6 pane glazed door, the reception hall provides access to all accommodation on offer. Double fitted storage cupboard with shelving and additional linen cupboard. Two radiators. Cornicing and inset lighting to the ceiling. Hatch providing access to the attic space. Telephone point. Hive heating system and smart gas and electric meters. W.C./CLOAKROOM 6' 6" x 3' 8" (1.98m x 1.12m) Fitted with a white suite comprising: W.C. and pedestal wash hand basin. There is tiling to the walls and complementary tiling to the floor. Chrome ladder heated radiator. Mirror with lighting over the wash hand basin. Inset lighting to the ceiling. BREAKFASTING KTICHEN 12' 1" x 10' 5" (3.68m x 3.18m) Entered via a 6 pane glazed door, the kitchen is fitted with a range of wall and base units including glazed display units and attractive basket pull out drawer units. 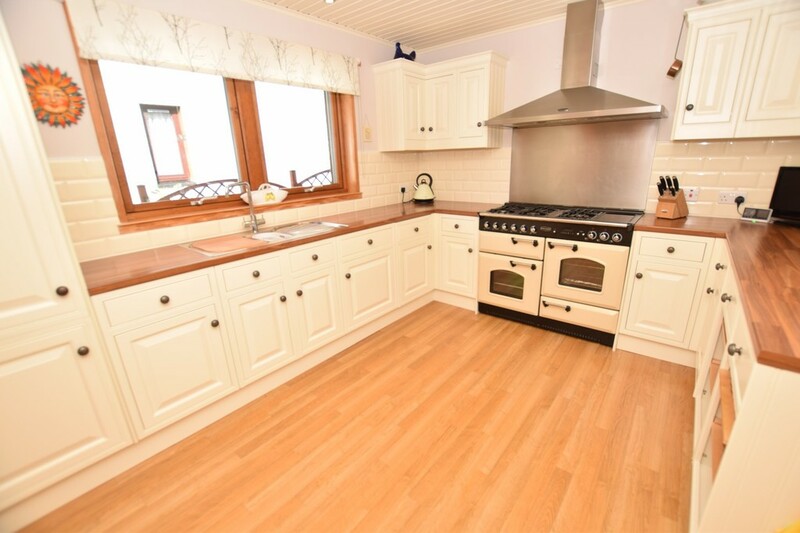 There is contrasting work surfaces together with a Range Master cooker with five ring gas burner hob, hot plate and extractor over. Integrated fridge/freezer and dishwasher. Window to the side. Stainless steel 1 1/2 bowl sink and drainer unit. Radiator. Inset lighting to the ceiling. UTILITY ROOM 5' 9" x 5' 5" (1.75m x 1.65m) Entered via a 6 pane glazed door from the kitchen, the utility room is fitted with wall and base units with contrasting work surfaces and tiling between. Stainless steel sink and drainer unit. Space for washing machine. Part glazed door to the side. Cornicing to the ceiling. Large cupboard housing the hot water tank. 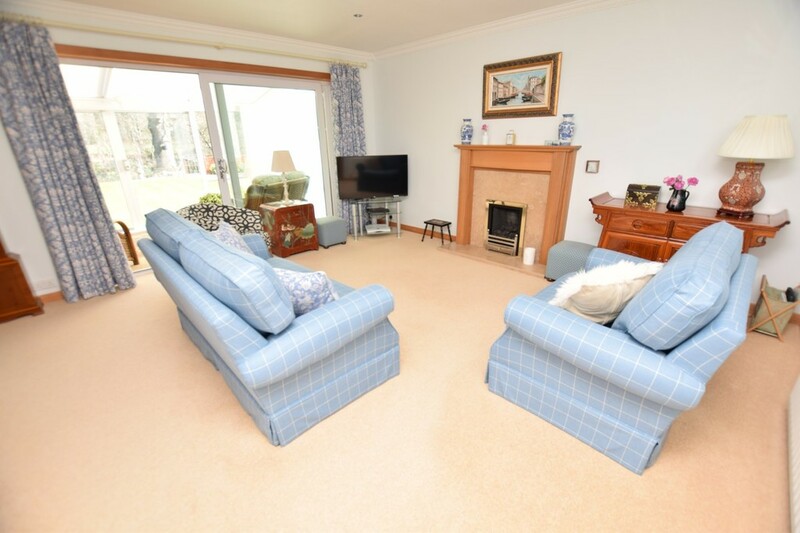 LOUNGE 16' 2" x 13' 9" (4.93m x 4.19m) A very bright and spacious public room which is open plan to the dining room with double sliding doors providing access to the conservatory. Feature fireplace. Television point. Carpet. Radiator. DINING AREA 10' 10" x 8' 9" (3.3m x 2.67m) The dining area is open plan to the lounge and also has a window to the rear with magnificent views over the river. Radiator. Cornicing to the ceiling. Carpet. Telephone point. 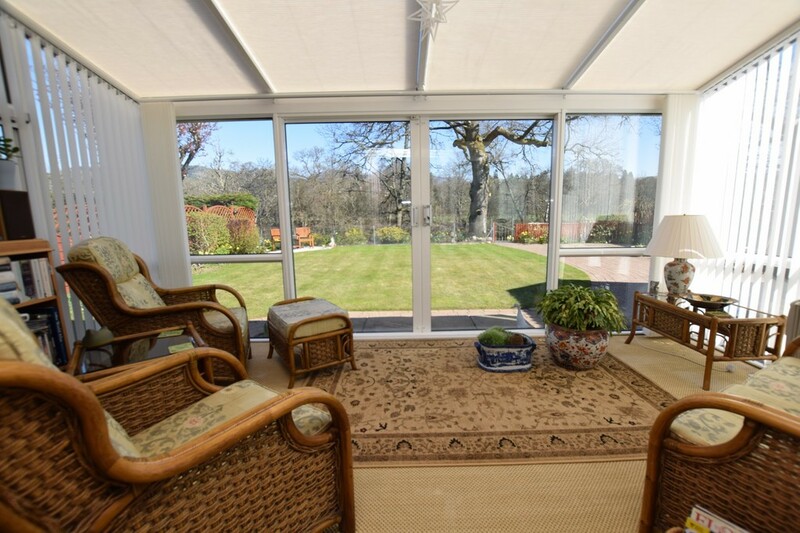 CONSERVATORY 15' 6" x 9' 6" (4.72m x 2.9m) A very sociable public room with double patio doors providing access to the garden. Radiator. 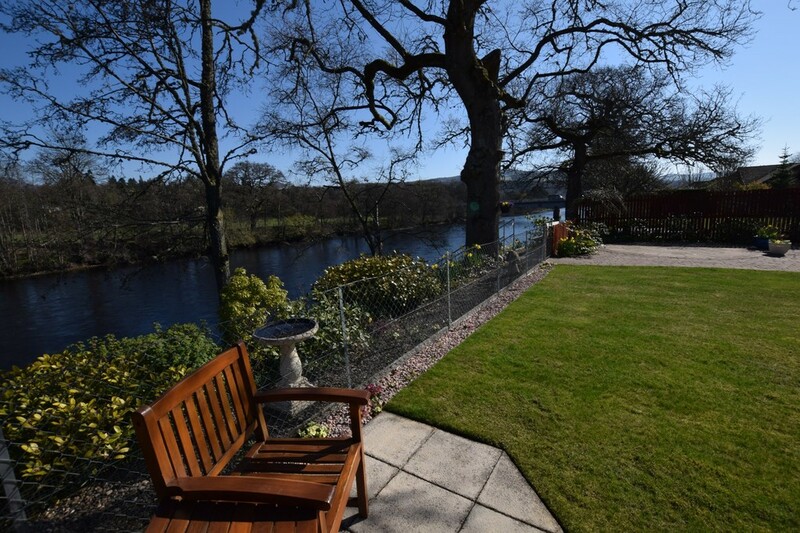 This room has wonderful views over the garden grounds towards the river and beyond and provides an ideal haven for relaxation and socialising all year round. 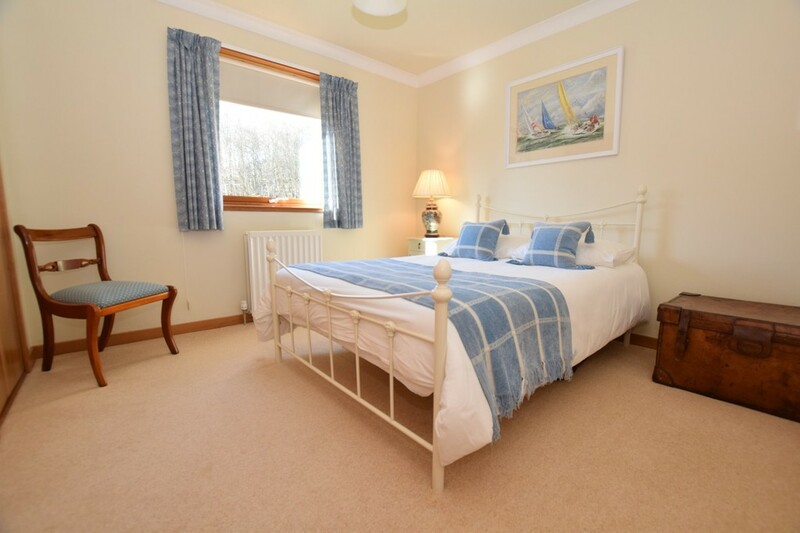 BEDROOM 1 11' 6" x 11' 6" (3.51m x 3.51m) A spacious double bedroom with window to the front. Carpet. Radiator. Double fitted wardrobes with hanging rail and shelving. Cornicing to the ceiling. 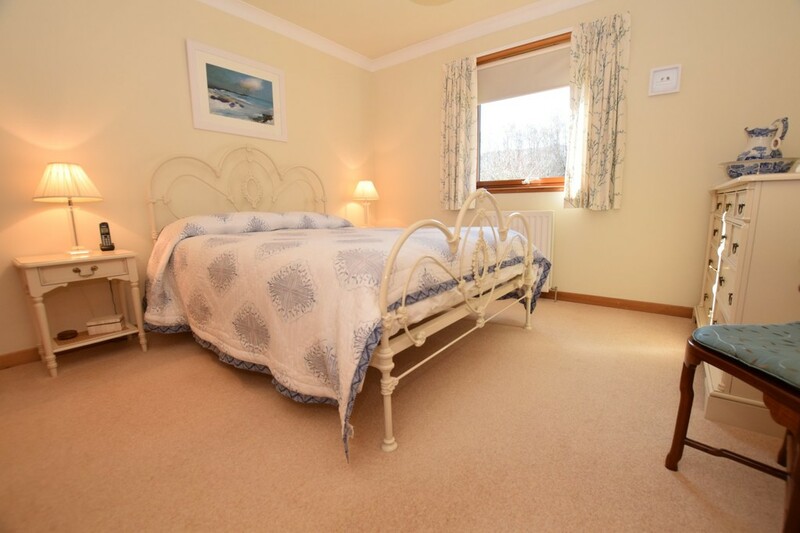 BEDROOM 2 11' 5" x 10' 5" (3.48m x 3.18m) A further double bedroom with window to the front. Two fitted wardrobes with hanging rail and shelving. Carpet. Radiator. Cornicing to the ceiling. BEDROOM 3 10' 6" x 8' 1" (3.2m x 2.46m) A very bright single room with window to the side. Fitted wardrobe with shelving and hanging rail. Cornicing to the ceiling. Radiator. Carpet. Telephone point. 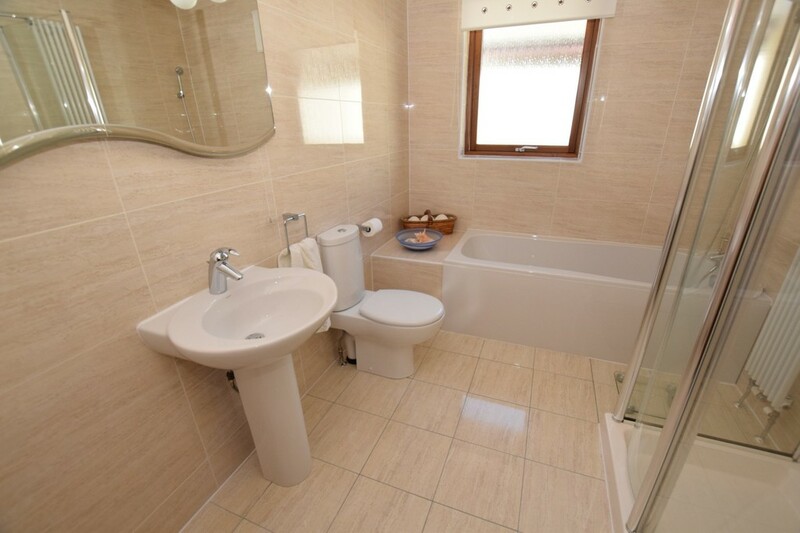 BATHROOM 10' 4" x 7' 2" (3.15m x 2.18m) Fitted with a modern white suite comprising: W.C., pedestal wash hand basin with mirror and lighting over; double shower unit with thermostatic power shower and bath. There is tiling to the walls and complementary tiling to the floor. Ladder radiator. An opaque glazed window to the side provides additional light and ventilation. Under floor heating. 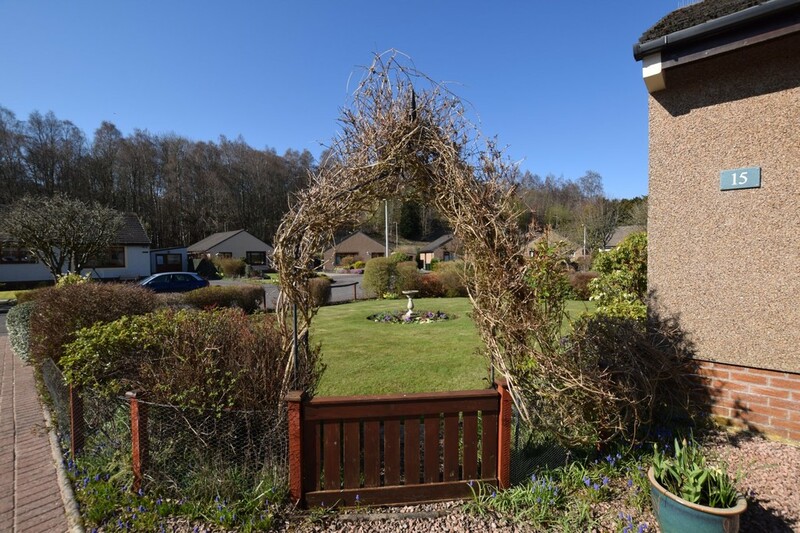 EXTERNAL To the front of the property there is an area of garden which is enclosed with a mixture of fencing and hedging and is predominantly laid to lawn with attractive planted borders and a circular planter. 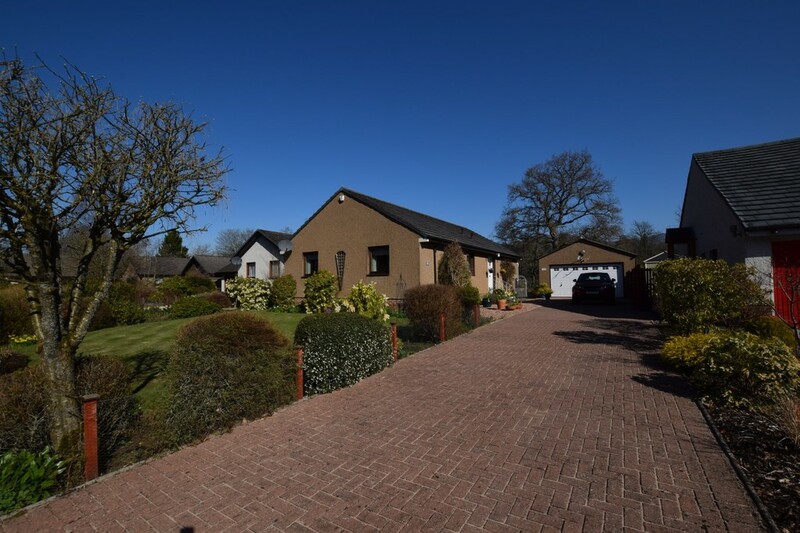 A mono blocked driveway to the side provides off street parking for a number of cars and leads to a detached double garage which has the benefit of power, light and an electronically operated door. The garage also has a window and door to the side. To the front and rear of the garage there is censor lighting fitted. 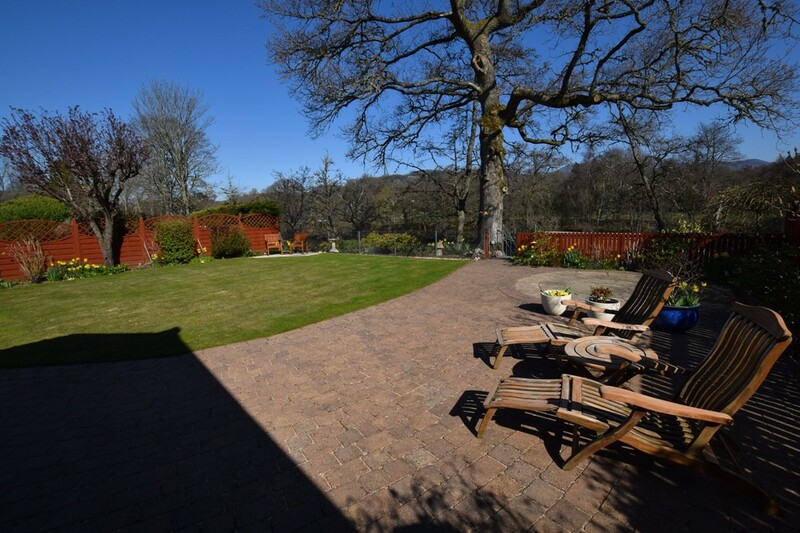 The rear garden is also enclosed with timber fencing and is also laid to lawn with planted borders and two paved patio areas. Two external taps. 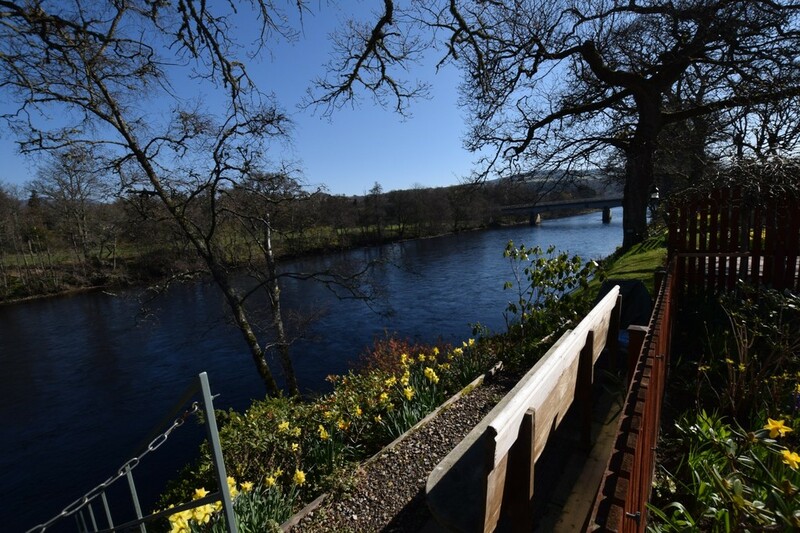 Please note that as the property has fishing rights there is a gate to the bottom of the garden providing access to steps leading down to the river. 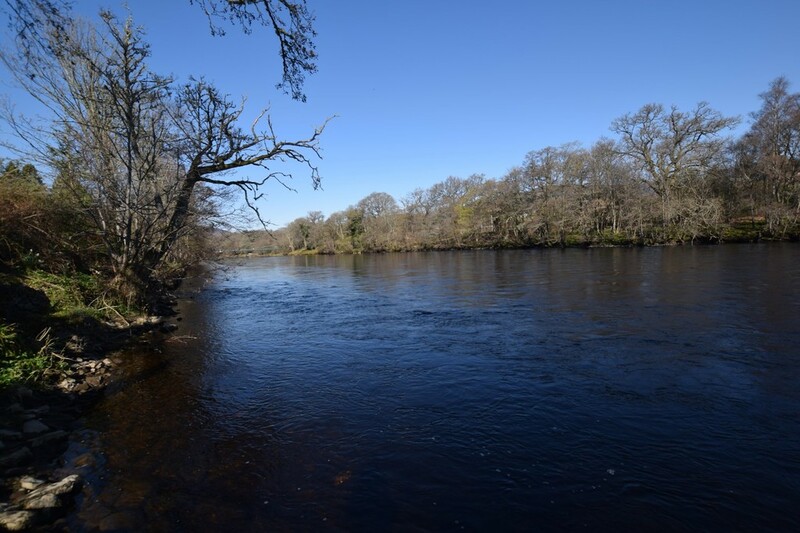 The shore area to the right and left of the steps which is the width of the land belonging to the property and half way into the river is where the property has its sole fishing rights.